PBS aired a video segment and published an article for PBS Newhour on Tinnitus research. Click here for the interview with Dr. Josef Rauschecker. One of the lab's publications by Dr. Iain DeWitt and Dr. Josef Rauschecker highlights their finding which shows a new word recognition location disputing the commonly known text-book area for word recognition, 'Wernicke's Area". In 2012, Brannon Green and Dr. Rauschecker were interviewed by NPR regarding their investigations into musical sequencing and how it relates to a well-known auditory phenomenon. Check out this podcast in Dr. Rauschecker's native German language; a Hessischer Rundfunk interview with Dr. Rauschecker regarding his research in the US. Dr. Rauschecker participated in a podcast with Tinnitus Talk. Dr. Lars Rogenmoser presents his research at the APAN Satellite Symposium at the Annual Society for Neuroscience Meeting and the Annual Society for Neuroscience Meeting in San Diego. Dr. Rauschecker co-organizes the Neuroengineering Symposium with national and international scientific speakers/collaborators at Georgetown University. Dr. Rauschecker delivers a lecture at Neurosciences Grand Rounds at MedStar Georgetown University Hospital, Department of Neurology. The lab welcomes research assistant Kevin Quant. Dr. Rauschecker organizes and co-chairs the international GRC Meeting with scientific collaborators in Hong Kong, China, where he presents his research. Dr. Rauschecker delivers the keynote lecture "International careers in science-while staying in touch with Germany", at TUM IGSSE Forum 2018, Raitenhaslach, Germany. Dr. Rauschecker delivers the talk "Where, When, and How: Towards a Unified View of the Dorsal Pathway in Vision and Audition", at CAOS workshop 2018 on Concepts, Actions, and Objects: Functional and Neural Perspectives, Rovereto, Italy. “Effects of Sensory Deprivation on the Brain: Plasticity in Early Blindness and Chronic Tinnitus”. Dr. Rauschecker chaired session IV on Cortical Tinnitus Networks and delivered the talk “New ways forward in Tinnitus Research”, at 11th TRI Conference 2nd TINNET Meeting “Disruptive Innovations in Tinnitus”, Regensburg, Germany. Dr. Rauschecker delivers the talk “Auditory Plasticity After Vision Loss”, at 4th International Symposium "Low Vision and the Brain", Berlin, Germany. Dr. Jessica Phillips-Silver and Dr. Maeve Barrett present their research at the Society for Neuroscience conference in Washington, DC. Dr. Rauschecker delivers a lecture on "Where did language come from? Evolutionary precursor mechanisms in the brain of non-human primates,” at the 2017 - 2018 Distinguished Lecture Series in Educational Neuroscience at Gallaudet University. The lab welcomes Master student Alison Schug. Dr. Rauschecker delivers a talk on dysregulation of limbic brain regions in tinnitus and chronic pain in Schön Klinik Roseneck, Germany. Dr. Rauschecker presents his research at the International Neuropsychological Symposium in Sitia, Crete. Dr. Rauschecker co-organizes the international PIRE Workshop with scientific collaborators in Girona, Spain, where he, Dr. Maeve Barrett, and graduate student Hassan Aleem present their research. Dr. Rauschecker delivers the keynote lecture at "The Neurosciences and Music - VI Music, Sound and Health" at Harvard Medical Center, where Dr. Jessica Phillips-Silver also presents her research. The lab welcomes undergraduate research assistants Kate Kim, Amanda Nelson, Sophia Benson, and Luke Reilly. Dr. Maeve Barrett presents her research at Vision Sciences Society 2017 at St. Pete Beach, Florida. The lab welcomes scholar Denis Archakov, who will be working on a project on sensory-motor integration in the auditory dorsal stream. The lab welcomes scholar Daniel Cameron, who will be working on a project on sensory-motor integration in the auditory dorsal stream. Dr. Rauschecker and Dr. Jessica Phillips-Silver present their research at "Cérébration 25e Journée scientifique" at University of Montreal Department of Physiology. Dr. Michael Ortiz-Rios and Dr. Rauschecker publish a paper in Neuron titled "Widespread and Opponent fMRI Signals Represent Sound Location in Macaque Auditory Cortex." The lab welcomes research assistant Amie DiTomasso. Graduate student Peter Jendrichovsky from the City University of Hong Kong presents at a lab meeting. Pawel Kusmierek, Jessica Phillips-Silver, and Lars Rogenmoser present their research at the Society for Neuroscience conference in San Diego, CA. Josef Rauschecker presents at TEDx Charlottesville. The lab welcomes visiting scholar Lars Rogenmoser who will be working on a project on tinnitus. The lab welcomes graduate student Bradley White from Gallaudet University to complete his lab rotation. The lab welcomes undergraduate students Benny Weisman, Sophia Benson, and Luke Reilly as research volunteers for the summer. The lab welcomes visiting scholar Mayte Daza-Gonzalez from the University of Almeria, Spain who will be working on a project with deaf children. The lab welcomes visiting scholar Maeve Barrett who will be working on a project about multisensory processing in blind humans. Graduate student Laura Erickson successfully defended her thesis titled "Examination of Audiovisual Speech Processes, The McGurk Effect and the Heteromodal Superior Temporal Sulcus in the Human Brain Across Numerous Approaches". Congratulations Laura! Amber Leaver, Anna Seydell-Greenwald, and Josef Rauschecker publish a paper about chronic tinnitus. A figure from this paper is featured on the cover of the April 2016 issue of Hearing Research. The lab hosts guest researcher Ella Striem-Amit from Harvard University for a special PIRE seminar, "The Senseless brain: Sensory-independent brain organization in people born blind, deaf, or without hands". The lab hosts guest researcher Iiro Jääskeläinen from Aalto University for a special PIRE seminar, "Brain mechanisms supporting comprehension of acoustically degraded short sentences". Laura Erickson, Josef Rauschecker, and Peter Turkeltaub publish a paper in Brain Structure and Function about meta-analytic connectivity modeling of the human superior temporal sulcus. The lab hosts guest researcher Leo Van Hemmen from the Technical University of Munich (TUM) for a special PIRE seminar, "Learning tinnitus". The lab hosts guest researcher Petri Toiviainen from the University of Jyväskylä for the Neuroscience Seminar series, "Studying the musical brain with natural-stimulus fMRI". Josef Rauschecker responds to a paper on neural pathways for music in the New York Times. Amber Leaver and Josef Rauschecker publish an article in the Journal of Neuroscience about the topography of human auditory cortex. Graduate student Brannon Green successfully defended his thesis. Congratulations Brannon! Brannon Green and Josef Rauschecker are authors on a paper published in NeuroImage about early-latency categorical speech representations. Josef Rauschecker is an author on a paper published in PNAS about metabolic connectivity in the resting human brain. Josef Rauschecker is mentioned in an article responding to a recent scientific research paper on neural pathways for music. Josef Rauschecker and Pawel Kusmierek receive a 5-year R01 NIH grant for a project on sensory-motor integration in the auditory dorsal stream. Josef Rauschecker and Audrey Maudoux publish an article in Trends in Cognitive Sciences about tinnitus and chronic pain. Josef Rauschecker is featured in Live Science, Motherboard, Medical Xpress, Medical Daily, Neurology Advisory, Medical News Today, TUM, and a GUMC article about uncovering the brain abnormalities responsible for tinnitus and chronic pain. Josef Rauschecker and Sophie Scott publish a chapter in Neurobiology of Language about pathways and streams in the auditory cortex. Josef Rauschecker organizes a workshop in Munich about tinnitus and chronic pain. Iain DeWitt and Josef Rauschecker publish an article in Cortex about auditory single-word comprehension. NPR airs a story about cochlear implants and music, with Jessica Phillips-Silver. Paula Plaza presents a talk at the Vision Sciences Society meeting, titled: "Rewiring the visual cortex of the congenitally blind: Seeing faces with the ears activates the left fusiform face area". Paula Plaza and Jessica Phillips-Silver are featured in a GUMC article about the neuroscience of music and movement in the blind. GUMC releases a press release about an article in Hearing Research that investigated how cochlear implant users can hear and feel the beat in music. LINC members present their research at the 2014 Society for Neuroscience meeting in Washington, DC. NPR airs an interview with Jessica Phillips-Silver about beat deafness. Anna Seydell-Greenwald, Erika Raven, Amber Leaver, Ted Turesky, and Josef Rauschecker published a paper in Neural Plasticity. Laura Erickson, Brandon Zielinski, Jennifer Zielinski, Guoying Liu, Peter Turkeltaub, Amber Leaver and Josef Rauschecker publish a paper in Frontiers in Psychology. Paweł Kuśmierek and Josef Rauschecker publish a paper in the Journal of Neurophysiology. LINC members present their research at the 2013 Society for Neuroscience meeting in San Diego. PBS airs segment on Tinnitus and interviews Dr. Josef Rauschecker of LINC at Georgetown University. LINC lab members discuss their exciting research findings with NPR during Society for Neuroscience meeting in New Orleans, LA: The Beatles' Surprising Contribution To Brain Science. New article published in Frontiers in Systems Neuroscience: Cortico-limbic morphology separates tinnitus from tinnitus distress. See our publications page for details. New article published in Journal of Neurophysiology: Sound-identity processing in early areas of the auditory ventral stream in the macaque. See our publications page for details. 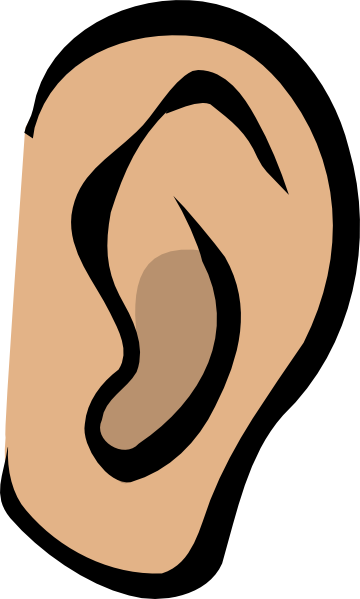 Tinnitus: An auditory phenomenon characterized by the perception of a ringing in one's ear without any actual source sound. Tinnitus is not a disease, but a condition that can result from a wide range of underlying causes. The LINC studies the underlying causes of tinnitus through fMRI and EEG analysis. While we do not provide treatment methods for participants, the data the lab collects will hopefully provide a better understanding of the mechanisms involved.